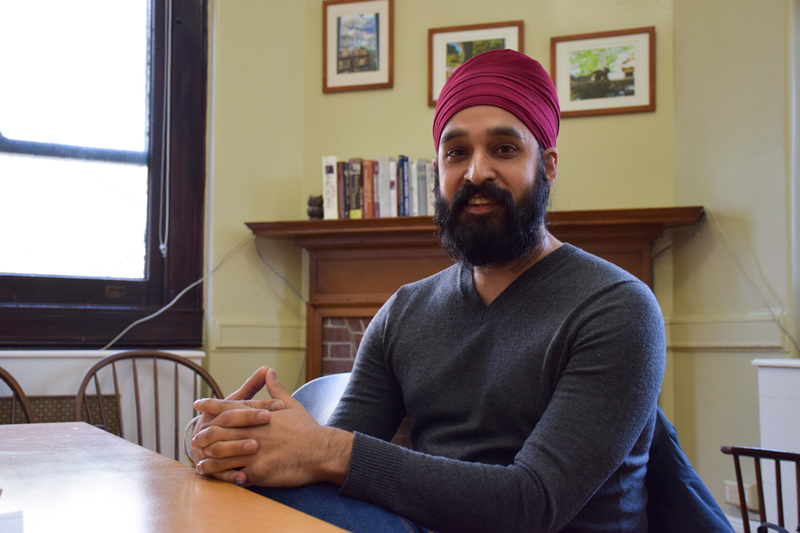 Educator and activist Simran Jeet Singh, GSAS ’08, ’12, and ’16, has been appointed as Columbia’s first-ever Sikh Religious Life Adviser. Singh will join Columbia’s 15 other Religious Life Advisers, clergy and spiritual advisers that oversee Columbia’s various faith groups with support from “sending organizations” outside of the University. Singh—whose sending organization is the Sikh Coalition, a New York-based civil rights organization—will provide Sikh students with direct spiritual counseling and organized programming. Sikh students represent a small but active part of the campus community. CU Sewa is the only Sikh organization on campus, based on the Sikh values of peace, social justice, and selfless service. However, the club is also open to non-Sikh students, and has non-Sikh members. According to current CU Sewa President Sunny Birdi, CC ’19, Singh’s experience with social justice work and his “phenomenal track record” will be invaluable resources for the club. Singh, who received his B.A. from Trinity University and holds graduate degrees from Columbia and Harvard University, is a Senior Religion Fellow for the Sikh Coalition and a Visiting Scholar at NYU’s Center for Religion and Media. Born and raised in San Antonio, Texas, he was among the few Sikhs in his community when growing up. Singh was also a graduate student at Columbia when School of International and Public Affairs when professor Prabhjot Singh was attacked in a hate crime incident in 2013, and said he could have benefited from an adviser during his time at Columbia. “When I was here doing my Ph.D., I often longed for community. There were a handful of [Sikh] graduate students and professors … but we never had someone who was devoted to facilitating and guiding students,” Singh said. Kandola said he was excited about the prospect of having a personal adviser to advocate for and guide Sikh students through their undergraduate experience. Kandola, who will graduate next spring, said he wished the position could have been created earlier in his time at Columbia. “I definitely haven’t been able to spend enough time asking questions that I’ve asked myself, be it dating, [or] mental health. … Having someone with that knowledge, I would have turned to [them] at the very least. If that had been a resource here, I would have utilized it a lot,” he said. Singh emphasized his excitement over the new position, highlighting the political implications of providing the Sikh community with an RLA. “One of the most exciting aspects of having a Sikh religious adviser here at Columbia is the public statement that it makes—that this community, which has been here for so long, and has largely been ignored and invisible, is a community that we’re going to honor and respect as anyone else,” Singh said.